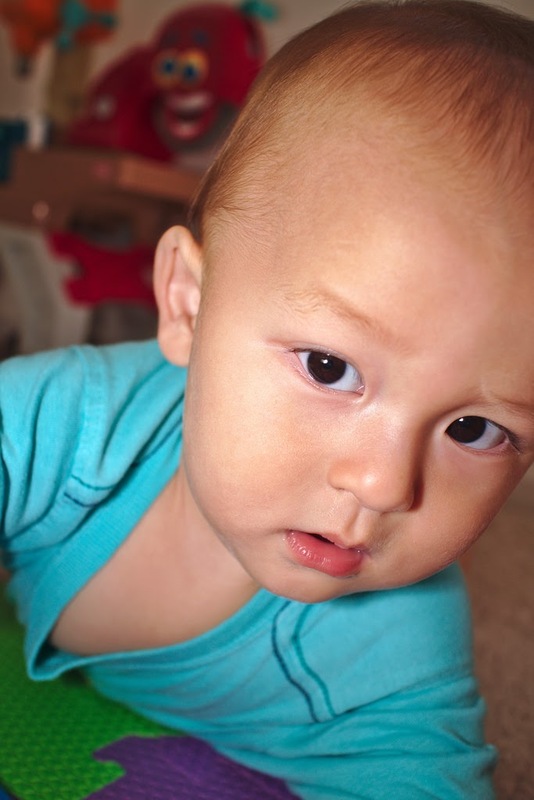 What constitutes misuse of materials by an infant? 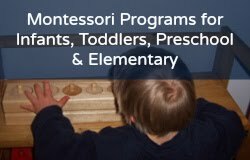 I've been doing a few Montessori activities with my son C. since he was born. He's now nine and a half months old. Here's a question I've been wondering about for a while. When I present an activity, C. has very little interest in copying me and doing the intended activity. I know that sometimes it's appropriate for the child to use the materials in his own way, but other times it indicates that he is not ready for the activity and I should just put it away. But how do I tell the difference? When I presented the "putting spoons in a bowl" activity, C. picked up the spoons and put them in his mouth, and tapped them together, both of which I thought were probably ok. But then he took a spoon in each hand and started crawling away (he loves to crawl while holding things). I decided that was not a good idea, because he wasn't using the materials in any investigative way, so I took the spoons away from him and he was really mad. Do you have any tips on this for the infant stage? I, too, asked myself this question, over and over and over again when my son was an infant! Especially since I had an infant with Down syndrome! What I advise for the infant (and tot and toddler ages) is allow exploration as much as possible, and don't worry about misuse of materials until age 2 1/2 to 3. What you do need to be concerned about is safety. Is your baby safe crawling around with spoons? Yes, no, maybe, not sure, will watch closely and see... the answer is not so clear sometimes! So use safety as your reasoning for allowing or not allowing your infant to use and "misuse" a material. And when you think about it, doing the spoons in the bowl and then putting them in his mouth is indirect preparation for eating! So your baby is doing the right thing by mouthing them... but crawling with them in his mouth might not feel safe (holding them is OK). However, if you still do not want your infant crawling around with little spoons for a variety of reasons (he looses them, he falls and hits his eye...) do a "bait and switch": give him something else to hold like a toilet paper roll or a ladle. In general, your baby will not sit and do a lesson with you from beginning to end until age two or three or sometimes four years old--as in my case! So you have a long way to go! Lastly, if any material becomes "an issue," take it out of the environment and try it again at a different stage!